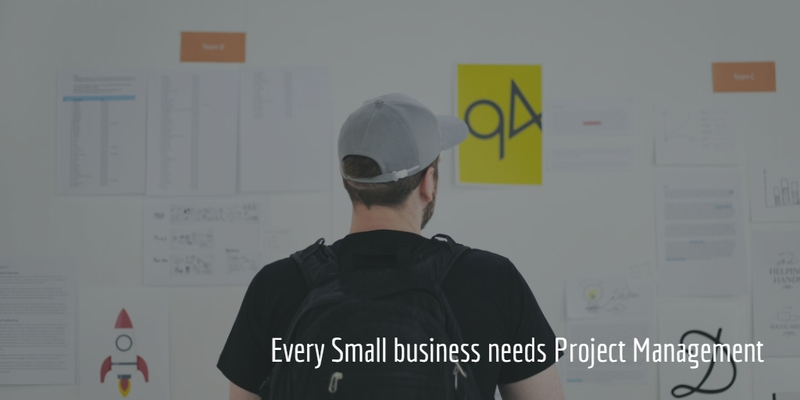 Every small business should be using project management, whether in the form of software or a skilled employee who can do everything manually. Project management is the big difference between success and failure in a lot of cases – and here are seven big reasons why. When you don’t have a plan, it can be easy to get off-track. This plan could tell you everything from how to decide what stock to order, when to place the order, how to market new products to customers, and how to keep track of stock until your next order. With a plan like this, you can cut through the chaos to ensure that everything is being done when it should be. When you know what needs doing, you can also figure out when it needs to be done. Having project management in place will allow you to set out a defined calendar on which you schedule everything that needs to be done for your business. If you’re the only one working for your small business, this means you don’t forget important deadlines. With everything on schedule and working to a tight plan, your time can be better used on actually running your business. You can also make sure that you aren’t wasting money, and any stock you have to sell will be best placed to actually sell. You can get the most out of all of your resources – and you’ll have a measurable way of checking whether you are managing it, too. One project for your small business might be setting up a new marketing campaign. However, this project does not exist in a vacuum – it is connected to all other areas of your business, too. Your marketing campaign might affect, or be affected by, various things such as your stock, your overall budget, the time you have for dealing with orders, the number of orders you can accept in a certain period of time, your past and future campaigns, your social media accounts, and so on. Project management helps to integrate everything together for a seamless effect – so you don’t end up wasting money on advertising something that you have sold out of, for example, or getting in more orders than you can actually cope with. Things always happen that threaten to derail projects – it’s just part of doing business. When a shipment arrives late, or your website goes down for a day, or you have an unexpected crisis, project management can help you roll with things rather than fall down. What’s your most successful project to date? What kind of marketing do people respond to the most? How many of your customers visit you from Facebook? This kind of information is often gathered through your daily activities, but if you aren’t managing the project, the knowledge will normally be lost. Having an organized project helps you to retain knowledge and put it to work later on. Because project management organizes your business, it also helps you to record failures – and to learn why they happened. This is essential if you are going to grow and see more success in the future, rather than simply repeating your mistakes and watching it happen again. The organization that project management provides helps show clear cause and effect. Project management is helpful in so many ways, and there is no business – from a giant corporation to sole trader – that would not benefit from using it. Bio: Claudia Thursfield is currently working at Bizstats.co.uk. She is a passionate writer who loves to share tips and thoughts with other like-minded people. Claudia spends most of her free time on reading horror and adventure books.